Luther Vandross – American singer, songwriter and record producer. 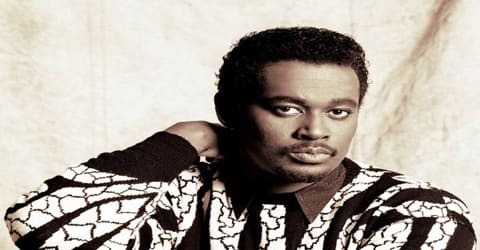 Name: Luther Ronzoni Vandross Jr.
American soul and pop singer, songwriter, and producer, Luther Vandross was born on April 20, 1951, at Bellevue Hospital, in the Kips Bay neighborhood of Manhattan, New York City. Throughout his career, Vandross was an in-demand background vocalist for several different artists including Todd Rundgren, Judy Collins, Chaka Khan, Bette Midler, Diana Ross, David Bowie, Barbra Streisand, Ben E. King, and Donna Summer. He later became a lead singer of the group Change, which released its gold-certified debut album, The Glow of Love, in 1980 on Warner Bros. Records. After Vandross left the group, he was signed to Epic Records as a solo artist and released his debut solo album, Never Too Much, in 1981. His popular albums include ‘The Glow of Love,’ ‘Never Too Much,’ ‘Busy Body,’ ‘The Night I Fell in Love,’ ‘Never Let Me Go’ and ‘Your Secret Love.’ He was also the voice behind iconic singles, such as “Any Love”, “Never Too Much”, “For You to Love”, “I Can Make It Better”, “Here and Now”, “The Closer I Get to You”, “The Best Things in Life Are Free” and “Endless Love”. Talking about his achievements, the American singer sold over 35 million records worldwide during his career. He won eight Grammy Awards, five Soul Train Music Awards, including a special honor, and nine American Music Awards. The most iconic song of his career, “Dance with My Father,” was a huge hit among the masses at the time of its release and is listened to till date. During his music career, Vandross also toured several times, singing his hit tracks at various events. During his career, Vandross sold over 35 million records worldwide and received eight Grammy Awards including Best Male R&B Vocal Performance four different times. At the age of three, having his own phonograph, Vandross taught himself to play the piano by ear. His parents encouraged his musical talents. Vandross attended William Howard Taft High School and graduated from there in 1969. Later he attended the Western Michigan University and dropped out of it after a year to pursue his music career. 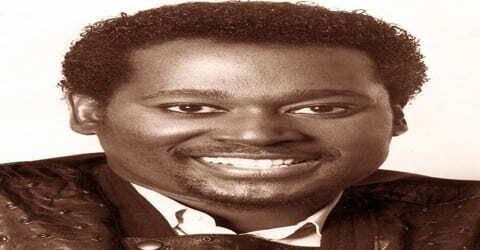 Luther Vandross suffered from diabetes and hypertension. On April 16, 2003, Vandross suffered a severe stroke at his home in New York City and was in a coma for nearly two months. The stroke affected his ability to speak and sing and required him to use a wheelchair. While in High School, Vandross formed a vocal group, Shades of Jade, with friends Carlos Alomar, Robin Clark, Anthony Hinton, Diane Sumler, and Fonzi Thornton. All five, along with 11 other teenage performers, were also part of a musical theater workshop, Listen, My Brother, organized by the Apollo Theater in Harlem that recorded a single, “Listen, My Brother”/”Only Love Can Make a Better World,” and appeared on the initial episodes of the children’s television series Sesame Street in 1969. After graduating from high school that year, Vandross attended Western Michigan University, but dropped out after a year and returned home. He spent the next few years working at odd jobs while trying to break into the music business. In 1972, Vandross added backing vocals to ‘Roberta Flack & Donny Hathaway,’ the debut album by singers Roberta Flack and Donny Hathaway. He also worked for Delores Hall on her album ‘Hall-Mark’ and sang with her on the track “Who’s Gonna Make It Easier for Me”. He contributed to another single titled “In This Lonely Hour” as well. In the late 1970s, the American singer was a member of the singing quintet Luther along with Diane Sumler, Anthony Hinton, Christine Wiltshire, and Theresa V. Reed. The group released the singles “Funky Music”, “The Second Time Around” and “It’s Good for the Soul” which were relatively successful. However, their albums ‘Luther’ and ‘This Close to You’ didn’t sell enough. In 1973, Vandross got two of his compositions, “In This Lovely Hour” and “Who’s Gonna Make It Easier for Me,” recorded by Delores Hall on her album Hall-Mark, singing the latter song with her as a duet. In 1974, though uncredited, he sang background vocals on Maggie Bell’s Queen of the Night, and in August of the same year Carlos Alomar, who had become David Bowie’s guitarist, invited him to attend a Bowie recording session at Sigma Sound Studios in Philadelphia. He quickly became more than an observer, singing background vocals, serving as a vocal arranger, and co-writing the song “Fascination” with Bowie. The session resulted in the album Young Americans, and Vandross went on tour with Bowie as both backup singer and opening act. Meanwhile, Vandross’ composition “Everybody Rejoice (A Brand New Day)” was featured in the Broadway musical The Wiz. Before his solo breakthrough, Vandross was part of a singing quintet in the late 1970s named Luther, consisting of former Shades of Jade members Anthony Hinton and Diane Sumler, as well as Theresa V. Reed, and Christine Wiltshire, signed to Cotillion Records. Although the singles “It’s Good for the Soul”, “Funky Music (Is a Part of Me)”, and “The Second Time Around” was relatively successful, their two albums, the self-titled Luther (1976) and This Close to You (1977), which Vandross produced, did not sell enough to make the charts. Vandross bought back the rights to those albums after Cotillion dropped the group, preventing them from being re-released. From 1977 to early 1980, Vandross sang and wrote commercial jingles for companies including Mountain Dew, Juicy Fruit, Burger King, Kentucky Fried Chicken, and NBC. In 1978, he sang for Greg Diamond’s band, Bionic Boogie. The same year, he appeared on Quincy Jones’s album ‘Sounds…and Stuff Like That’. In 1978, Vandross sang lead vocals for Greg Diamond’s disco band, Bionic Boogie, on the song titled “Hot Butterfly”. Also in 1978, he appeared on Quincy Jones’s Sounds…and Stuff Like That! !, most notably on the song “I’m Gonna Miss You in the Morning” along with Patti Austin. Vandross also sang with the band Soirée and was the lead vocalist on the track “You Are the Sunshine of My Life”; he also contributed background vocals to the album along with Jocelyn Brown and Sharon Redd, each of whom also saw solo success. Additionally, he sang the lead vocals on the group Mascara’s LP title song “See You in L.A.” released in 1979. Vandross also appeared on the group Charme’s 1979 album Let It In. In the late 1970s, he sang with a band named Soirée and served as the lead singer for the song titled “You Are the Sunshine of My Life”. Vandross also made his appearance in the group Charme’s album, ‘Let It In.’ After this, he finally made his career breakthrough as a featured vocalist with the pop-dance act Change and gave many hits such as “The Glow of Love” and “Searching”. Vandross then signed a recording contract with Epic Records. Soon after this, he released his debut album titled ‘Never Too Much’ that consisted of hit singles “Never Too Much” and “A House Is Not a Home”. With each new release, Vandross’s popularity grew. His songs of romance and his vocal arrangements captivated audiences from around the world. His albums successfully climbed the R&B charts, each going platinum by selling a million plus records, but mainstream success was very elusive. Vandross was reluctant to identify himself as an R&B singer because he felt his music transcended genres. According to the Los Angeles Times, he said in an interview, “I consider my music to be universal. My music is based solely on feelings, not analysis.” When he released his first compilation album, The Best of Love, he was finally able to do well on the pop charts. The song, “Here and Now,” received a Grammy Award, and became a wedding anthem. Vandross gained even more recognition in 1980, a year in which he appeared on studio albums by Chaka Khan, Melba Moore, and Mtume. But the most important credit for him that year was his work as lead vocalist of the studio group Change. 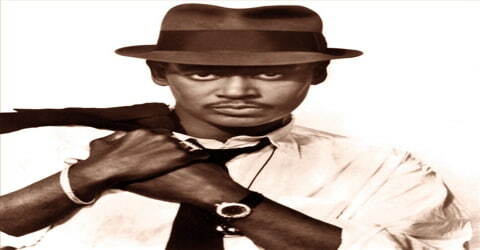 He sang on the band’s tracks “Searching,” a Top 40 R&B hit, and “The Glow of Love,” which also reached the R&B chart. This increased his profile even more, and he began circulating a demo tape to recording companies, seeking a solo deal that would allow him to write and produce his own records. On April 21, 1981, he signed with Epic. Vandross released a series of successful R&B albums during the 1980s and continued his session work with guest vocals on groups like Charme in 1982. Many of his earlier albums made a bigger impact on the R&B charts than on the pop charts. During the 1980s, two of Vandross’ singles reached No. 1 on the Billboard R&B charts: “Stop to Love”, in 1986, and a duet with Gregory Hines “There’s Nothing Better Than Love.” Vandross was at the helm as producer for Aretha Franklin’s Gold-certified, award-winning comeback album Jump to It. He also produced the follow-up album, 1983’s Get It Right. In 1983, the American artist got the chance to work with Dionne Warwick, writing, producing and singing the song “How Many Times Can We Say Goodbye”. Vandross also produced “It’s Hard for Me to Say” for Diana Ross and even toured with her later. He sang in Stevie Wonder’s “Part-Time Lover” in 1985. Soon after this, he lent his voice to the cartoon character Zack for the animated series ‘Zack of All Trades’. 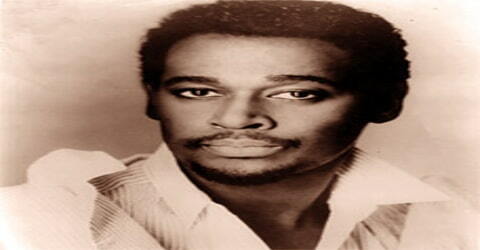 Vandross then released his compilation album titled ‘The Best of Luther Vandross… The Best of Love’. Vandross finally eased off on his recording schedule during 1984, if only because he was now a major concert attraction and toured in both North America and Europe. His only credit for the year was his composing (with Marcus Miller), arranging, producing, and singing background vocals on the song “You’re My Choice Tonight (Choose Me)” for Teddy Pendergrass, a Top 20 R&B hit. Vandross was thus able to lavish more time on his fourth album, The Night I Fell in Love, released in March 1985. The album spent seven weeks atop Billboard’s R&B LP list, going gold and platinum simultaneously as soon as it was eligible for certification in May and double platinum in 1990. It also reached number 14 on the pop chart, Vandross’ best showing yet. With his own album out of the way, he made some selected appearances on other albums in 1985. In 1990, Vandross wrote, sang, and produced the background vocals for Whitney Houston’s song “Who Do You Love”. The same year, he made a guest appearance in the sitcom ‘227’. Then in 1994, the singer teamed with Mariah Carey and sang the cover version of the song “Endless Love” He signed with J Records and released the album titled ‘Luther Vandross’ in 2001 which produced the hit songs “Take You Out” and “I’d Rather”. In 2002, Vandross performed in his final event during his last tour that also featured Gerald Levert and Angie Stone. So began a long string of million-selling albums that featured Vandross’s distinctive baritone, precise phrasing, and unabashedly romantic songs, including “Here and Now,” for which he won his first Grammy Award in 1990. His 1991 album Power of Love and the eponymous song “Power of Love/Love Power” both received Grammys, as did the song “Your Secret Love” (1996). In the process, Vandross became one of the most popular artists in the crossover genre called urban contemporary music. As a producer, Vandross was responsible for successful albums for Dionne Warwick and Aretha Franklin, who, along with the Supremes, influenced his music. While Vandross had much success, his battle with his weight played out in the spotlight. As with his father, grandfathers, and his three siblings, Vandross had diabetes as well as hypertension. Throughout his career, his weight constantly fluctuated between 190 to 340 pounds. As Vandross was preparing to release an album that many deemed his most personal, Dancing With My Father, he suffered a stroke on April 16, 2003, which many thoughts was brought on by his diabetes. As his family and friends rallied around him, Vandross began the daily struggle to recover, all but disappearing from the public eye. His album was released and debuted at number one. The title track would also reach the top of the charts. Another single, “The Closer I get to You,” a duet with Beyoncé Knowles, was number one on the charts and helped Vandross win four Grammys. (Over the span of his career, he won a total of eight Grammy Awards.) A tribute to him was performed by several in the industry, and he accepted his award via a taped message, thanking his fans and all those who had supported him over the years. 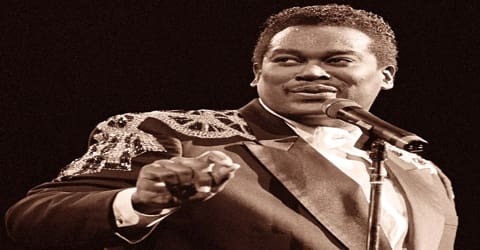 In 2003, Vandross collaborated on the song “What’s Going On” for Doc Powell’s album titled ‘97th and Columbus.’ The same year, Vandross released his final album ‘Dance with My Father’ that included the hits “Dance with My Father” and “Think About You”. In 2003 Vandross suffered a debilitating stroke shortly before the release of what proved to be his last studio album, Dance with My Father, which earned four Grammy Awards, including best R&B album, while the title track took the award for song of the year. 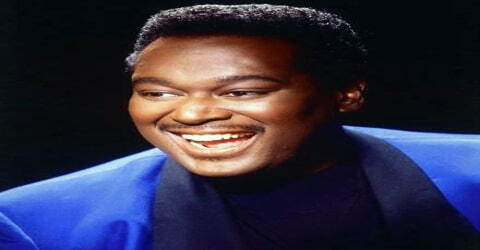 Luther Vandross won eight Grammy Awards in his music career, out of which four Grammys were for the songs “Dance with My Father” and “The Closer I Get to You” under different categories in 2004. Vandross won four Soul Train Music Awards under the category ‘Best R&B/Soul Album – Male’ for the songs “Give Me the Reason”, “Here and Now”, “Power of Love” and “Dance with My Father”. 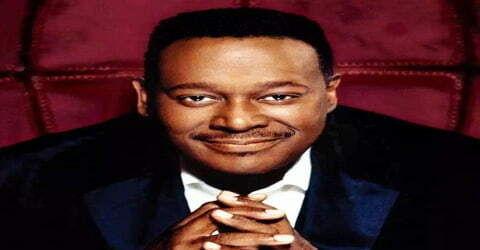 On June 3, 2014, Vandross was posthumously awarded a star on the Hollywood Walk of Fame. The American singer suffered from diabetes as well as hypertension. One year after his stroke, Vandross appeared on The Oprah Winfrey Show on May 6, 2004, to give an update on his progress. Throughout his recovery, many of his friends and colleagues would stop by, some to reminisce, and others brought the gift of singing, including Patti Labelle, who sang his hit single, “If Only For One Night,” for him. While family and close friends knew Vandross’ ordeal was slow going, they all thought he would make a full recovery. Luther Vandross died on July 1, 2005, at the JFK Medical Center in Edison, New Jersey, at the age of 54 of a heart attack. Vandross’ funeral was held at Riverside Church in New York City on July 8, 2005. Cissy Houston, a founding member of The Sweet Inspirations and mother of Whitney Houston, sang at the funeral service. 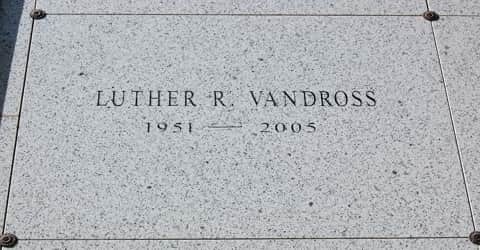 Vandross was buried at the George Washington Memorial Park in Paramus, New Jersey. He was survived by his mother, Mary Ida Vandross, who died in 2008. It is notable that, in the precarious world of popular music, Vandross sold records in the millions consistently for over two decades. It is even more notable that, although he certainly molded his music to a certain extent to meet the marketplace, he also imposed his own direction on R&B. Vandross, coming along in the wake of disco and while rap/hip-hop was in its infancy, insisted on reverence for the soul music of the then-recent past and deliberately reformulated it in an “old-school” approach. Even as rap dominated the charts in the early years of the 21st century, he maintained his passion for romantic and melodic music, and he drew listeners along with him. His early death at the age of 54 robbed American popular music of one of its more consistent and compelling voices, and it is only a partial comfort that he left behind a substantial body of work.